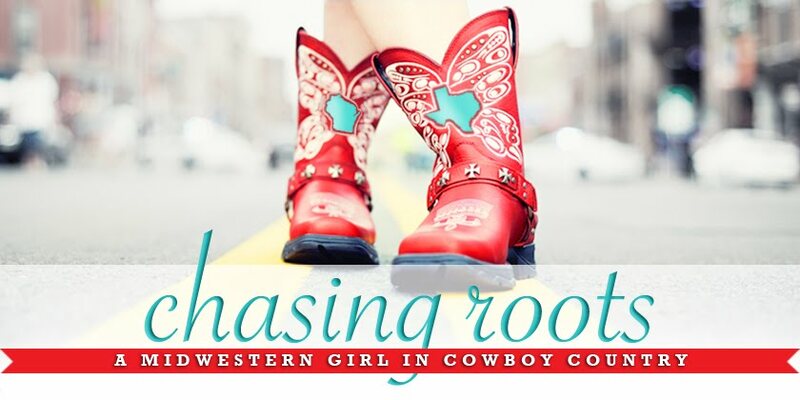 Chasing Roots: Where Has All the Writing Time Gone? I struggle to find time to sit down at my computer and write. It's gotten a little easier now that both Will and Hallie are in school on Tuesday and Thursday mornings, but those hours of "freedom" are for more crucial and time sensitive errands and projects before they're for writing. And though we still honor nap time in our house, only one child actually naps - the other child sees it as his rest time "job" to keep me from sitting down at my computer. 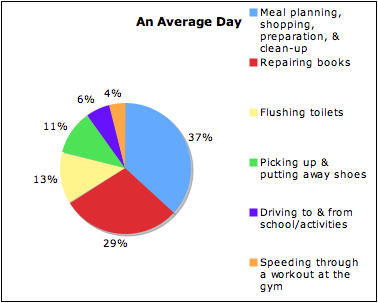 This pie chart breaks down how I spend my time on an average day. If you were to look at a pie chart breaking down how I spent my time today, you'd see an additional 18% wedge labeled "figuring out how to create and post a pie chart". I guess tonight's meal preparation percentage will suffer. If you're anything like me, you can easily understand how so much time goes to meal planning, shopping, preparation, and clean-up but have a hard time grasping how a person can spend 29% of her day repairing books. Talk to Hallie. You might also have a hard time understanding how a person can spend 13% of her time flushing toilets (FOR OTHER PEOPLE) and 11% of her time picking up and putting away (OTHER PEOPLE'S) shoes when every member of her family is completely capable of doing these things for themselves. I guess I've not done a very good job of training them. So, once Hallie stops destroying books, Will and Hallie start flushing the toilet, and all three members of my family start putting away their shoes I'll have time to write. In the meantime, I'll continue to write like I'm writing right now - typing with one finger on my iPhone while taping a book back together and pumping out a couple of miles on the treadmill.